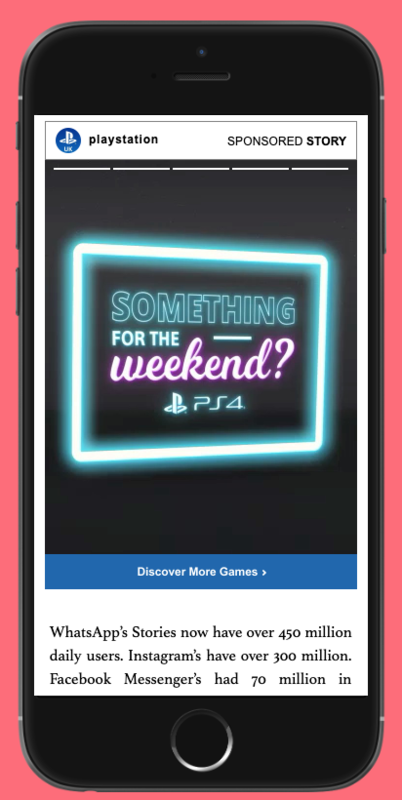 TI Media has partnered with high-impact mobile advertising platform, Picnic, to create unique digital campaigns for brands using Picnic’s ‘Stories’ format across TI Media’s range of sites. 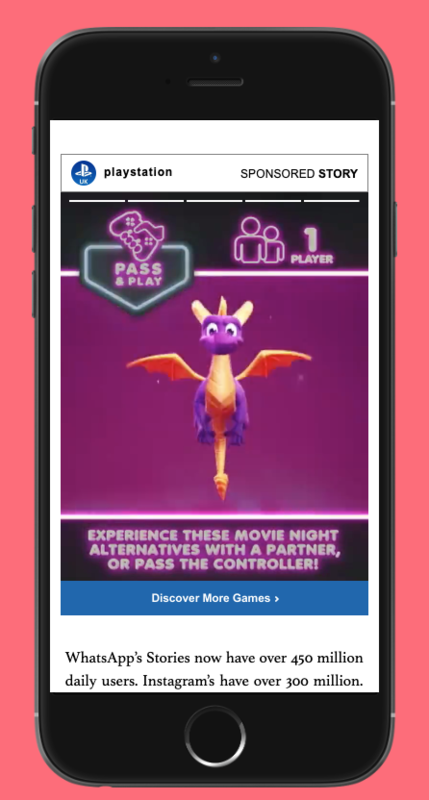 The latest campaign, for PlayStation, sees the brand promote PS4 games including Spyro and Everybody’s Golf using the social media inspired stories format, and is the first of TI Media’s Stories campaigns to include video. The creative is currently running across a range of premium mobile environments across the web. Picnic’s Stories’ is built specifically for Google’s Accelerated Mobile Pages (AMP), and takes inspiration from the social media stories format found on Instagram or Snapchat. This gives advertisers a flexible canvas that consumers intuitively understand, whilst also allowing brands to stand out in a saturated environment. The growth of popularity in stories across social media has been exponential. Instagram’s stories have over 300m, and Snapchat, who were the forerunners in the stories sphere, reached 191m (ref: We Are Block Party’s recent research). The PlayStation campaign follows on from TI Media and Picnic’s biggest activity so far, its first Stories campaign for Microsoft supporting the launch of Surface Go, with creative pushed across TI Media’s premium sites including Trusted Reviews. The purely mobile campaign was highly targeted to Microsoft’s audience of young, on the move professionals. Results exceeded all expectations, with an engagement rate of almost five times higher and dwell time over six times higher than the industry standard for similar mobile units. Microsoft, TI Media and Picnic are looking to continue the partnership in 2019.